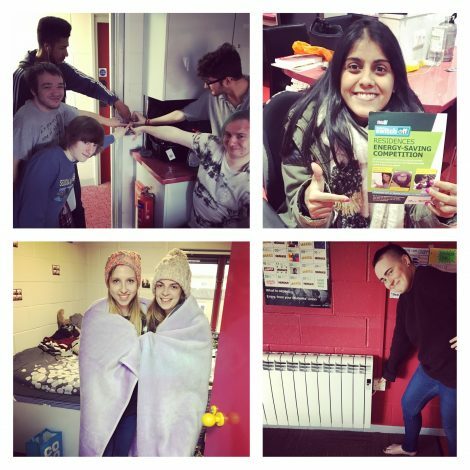 Welcome to Staffordshire University Student Switch Off campaign – your chance to win prizes for yourself and a Ben & Jerry’s delivery for your block, all for doing easy things to save energy and protect the environment! Everyone can do their bit to help the environment and we think a great place to start is with simple energy saving actions. From here you may learn all sorts about new environmental behaviours, but it’s a great place to start if you’re not sure how you can make a difference. It’s also the perfect timing – going to Uni is the perfect place to get into new habits, like simple energy saving actions, which will make a real difference to the environment, but also help you save money when you’re paying your own bills too. We also hope it will be the start of your own environmental journey, as you learn new ways to care for our planet and get more involved in sustainability. What’s with the Ben & Jerry’s ? We give away Ben & Jerry’s as an incentive to help you get into the swing of energy saving and helping the environment. We give away loads of other prizes too though, like TOTUM cards (formally NUS extra) cards, so if you don’t eat ice cream we’ve got you covered! You can win Ben & Jerry’s by entering photos into our photo competitions (these launch on Facebook every 2-3 weeks so make sure to like the page) or by your hall winning the overall competition; the hall that saves the most energy of the course of the year will win a big delivery of Ben & Jerry’s as a thank you. So if you’re living in halls your automatically signed up so all you need to do is start saving energy! You can also get involved in the photo competitions we run every 2-3 weeks via Facebook (make sure to like the page to see updates) and you can win prizes for getting involved. If you’re super keen, you can also become a Campaign Ambassador for your hall too.